Generation Zero brings to mind a festival I once attended which was evacuated overnight due to heavy rainfall. Unfortunately, I didn’t get the memo and awoke from my tent to a scene as close to an apocalyptic event as I can imagine. An eerie, desolate landscape populated only by silence and the stories the inhabitants had left behind. Every tent told a tale; half eaten meals and possessions left behind. Did these items hold no value to their owners? Or was there simply no time to collect everything before fleeing? 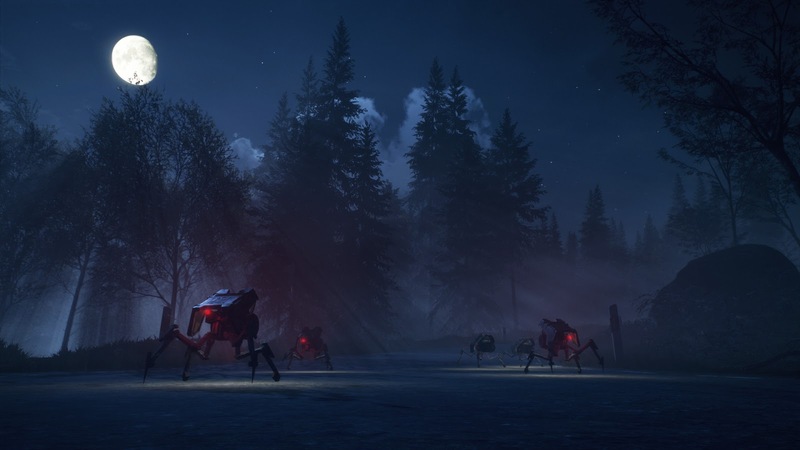 Just as I wanted to know more about the residents and their invisible lives, I wanted Generation Zero to tell me its story. 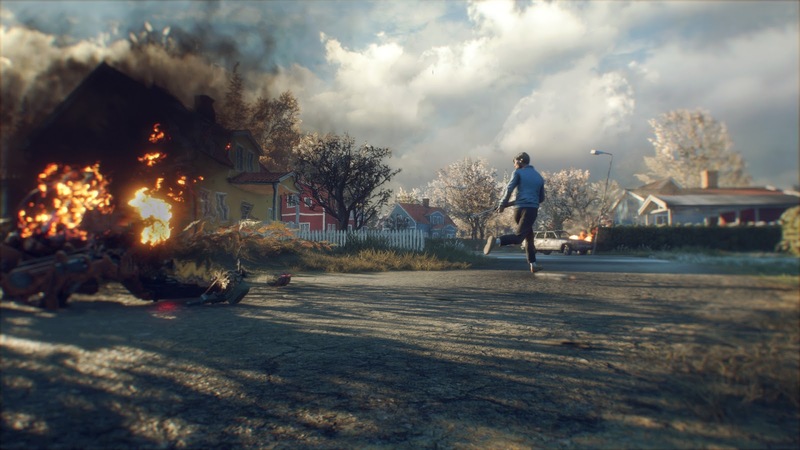 Developed by Avalanche Studios - the creators behind the successful ‘Just Cause’ series - Generation Zero identifies itself as an open world survival game where living is winning. 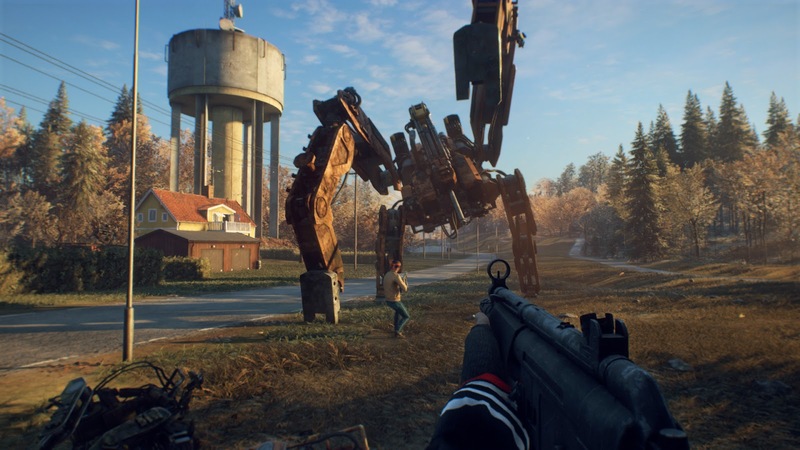 After playing through Generation Zero however there is only one discernible thing I could identify: Living is boring. The action takes place against an alternative 1980's backdrop where hostile machines have conquered the Swedish landscape. Everything starts with a somewhat limited character creation screen where I can pick a template from a range of 80's stereotypical archetypes straight out of The Breakfast Club (dibs on Molly! – ed), and then I’m thrown straight into the open world to follow a series of objectives introducing the gameplay, or like many open worlds, make my own way and decide my own objectives. I’m not long into the game before the cracks start to show. An open world survival game should have two key drivers behind its gameplay, pull and push. Players should be pulled to destinations to satisfy our curiosities. What lies beyond that rise? What is that foreboding structure in the distance? We should want to explore this world and be engaged. Equally, we should be pushed to destinations to achieve an objective that might seem hopeless but yields a profitable return on our efforts. Low on ammo? Medication? Food? Water? We need to step into territory that may require us to adapt or take risks we otherwise would avoid. 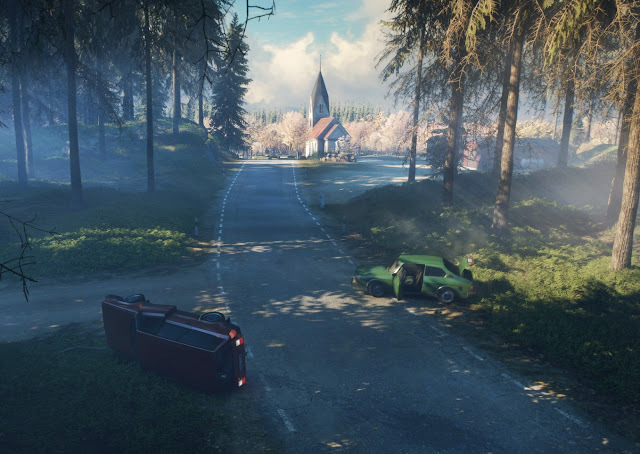 Generation Zero’s map is as vast as it is empty and neither pulls or pushes us in any direction. Its assets are lazily copied and pasted throughout the world making any new area to loot feel repetitive and lacklustre with no character, single-handedly eliminating the desire to explore. And with no real base survival requirements, besides a health bar, you rarely need to stop and loot any new locations unless you really need to pick up one of the enemy distracting boom boxes to go along with the other twenty-seven you found in the previous town. A rather odd game mechanic even announces whether there is anything to scavenge in nearby locations, completely negating the concept of puttering around and looking for stuff. I hoped that fierce combat between locations would make up for the emptiness following me but I often found myself bereft of enemies, the sound of firing my weapons to attract attention falling on deaf mechanical ears. My interest waning, I opted for a full on assault upon finding some enemies to get some action started rather than stealth my way around for fear that any more inactivity might trick my PlayStation into sleep mode. The controls are receptive and fluid although it can sometimes be difficult to ascertain whether you are actually hitting any of the enemies until they suddenly explode, blue sparks spurting from their bodies as they collapse. Whilst the combat can sometimes feel satisfying as you weave in-between buildings in attempt to split up packs of mechanical dogs and pick them off one at a time, the overall experience is marred by poor AI and the absence of enemy characterisation. For example, enemies can easily be overcome by simply closing doors and during my travels, I turned a corner and was greeted by the ‘Tank’, the largest of all the hostile forces, and a huge bipedal behemoth that wouldn’t look out of place in Hideo Kojima’s concept artwork. I pause, it turns and faces me and I expect some kind of mechanical roaring screech not unlike the famous Tyrannosaurus Rex roar that rips through the atmosphere. Instead, I am greeted with a few clunky sounds as it ambles its way towards me. A thoroughly underwhelming experience. I wish I could say the cracks ended there however there are pain points rooted into even the more basic of mechanics within the game. The inventory system is flawed, items don’t stack automatically and ammo must be manually attached and removed for each weapon obtained, which leads to an infuriating item management system as enjoyable as playing Tetris with only ‘Z’ pieces. Mission objectives are often vague with poorly designed waypoints and I often found myself searching locations for so long I eventually abandoned the task at hand in favour of anything else. 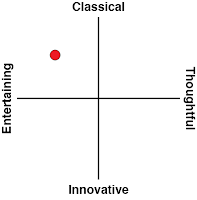 Individually, these points are minor bugbears, but combined together there is a growing sense that some aspects of the game were never quite finished but scheduled to be revisited further down the line. This is not to say that Generation Zero is entirely without its good points. Though empty and repetitive, its world is beautiful and there is a minimalistic and clean aesthetic in its design and its day/night cycle often stopped me in my tracks to watch as the light from the sun and moon creeped through trees in the woods. I often found myself thinking this world would have been more interesting as a story driven exploration adventure game like Dear Esther or Everybody’s Gone to the Rapture, however it ultimately feels like an early access game on Steam with major game features to be released in future patches to fill in the blanks. There are more avenues opened up once the multiplayer experience is taken into consideration, and after playing with some friends, the enjoyment is dialed up. Seemingly. Honestly after playing the single player mode for so long it was nice to talk to someone, anyone. And then it dawned upon me the enjoyment came from playing with a friend and not from playing Generation Zero with a friend. When I first read the premise of Generation Zero I was intrigued and before I even loaded the game up for the first time I was excited. 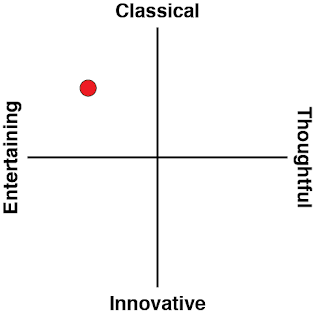 I wanted to like this game. Unfortunately, the game quickly falls into a beautiful void of its own making. With weak storytelling and empty gameplay, Generation Zero sinks into the mud and collapses like so many tents at the festival that day, gripping to weak foundations.